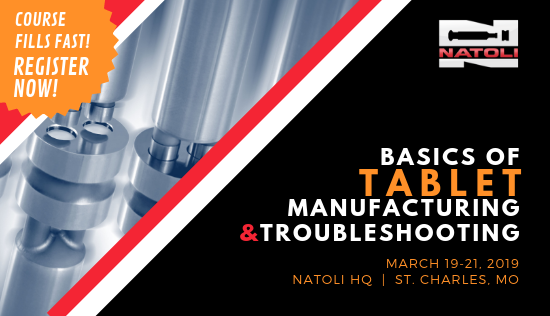 Join Natoli at our international headquarters in St. Charles, Missouri March 19-21 for one of the most sought-after training courses for tablet manufacturers. The Basics of Tablet Manufacturing and Troubleshooting is a 3-day course designed to benefit tooling technicians, tablet press operators or maintenance technicians, QC/QA personnel, R&D, and supervisors. 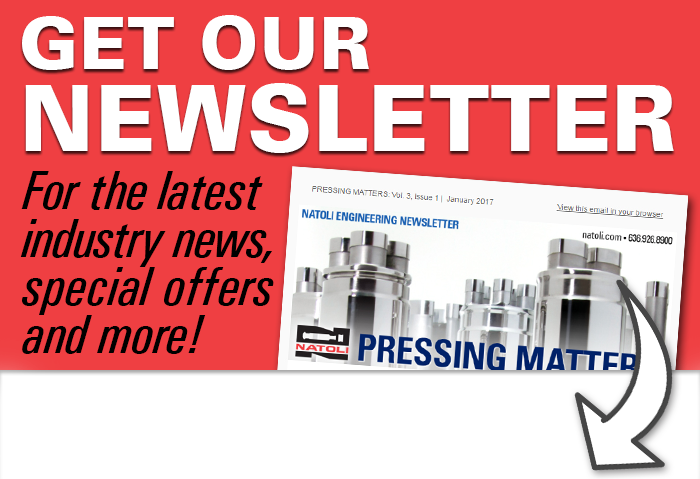 By attending this course, you will enhance your knowledge of troubleshooting and maintenance procedures for tablet presses and tooling and increase your understanding of TSM specifications and tooling options and reducing production downtime by minimizing compression problems. Our experienced instructors provide skills training through informational lectures and hands-on experience with equipment and tooling. If you’re looking to be the “go-to” person on your team, we’re confident that your learning experience with Natoli will help you gain the technical experience and skills that are needed to immediately start saving your company time and money. Don’t hesitate to register! Seating is limited and fills quickly.